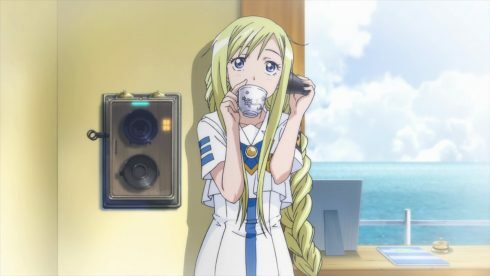 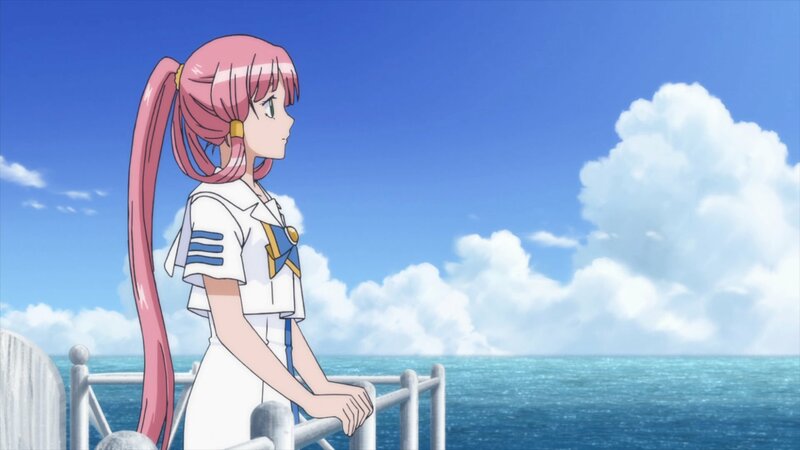 If Aria as a series has the lovely Akari as its main character one must always remember that the main “force” behind her slow and patient, steady formation (especially shown in such a lovely way in season three of the Aria series) is Alicia. But there is more to it – Alicia’s relationship with Akari is not as “simple” as instructor to student. 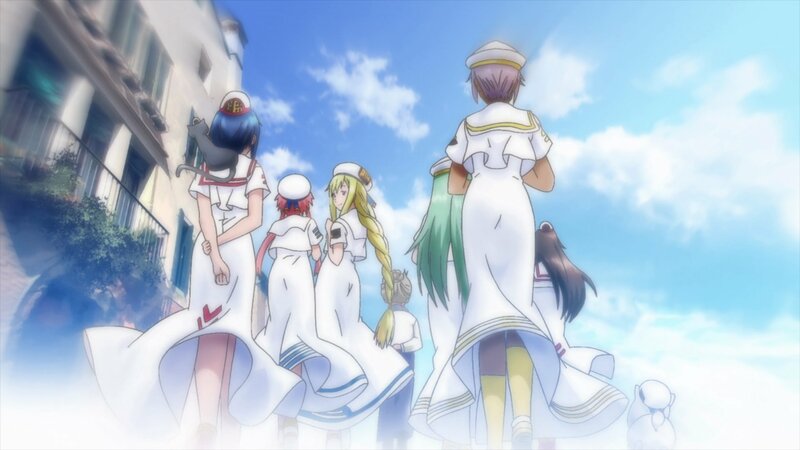 Some of this relationship is touched upon in season three of the anime series itself (that is, “Aria the Origination”) both in the episodes themselves and in the extra ep in the dvd release, but it is brought back to the forefront in this final episode of the Aria franchise, and I can only think it is very fitting. Perhaps in some ways it could be seen as one of the immediate practical “larger results” of Akari’s day to day existence changing reality around her? 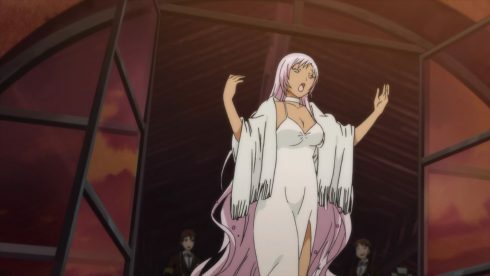 The episode itself was not ONLY about Alicia, of course. 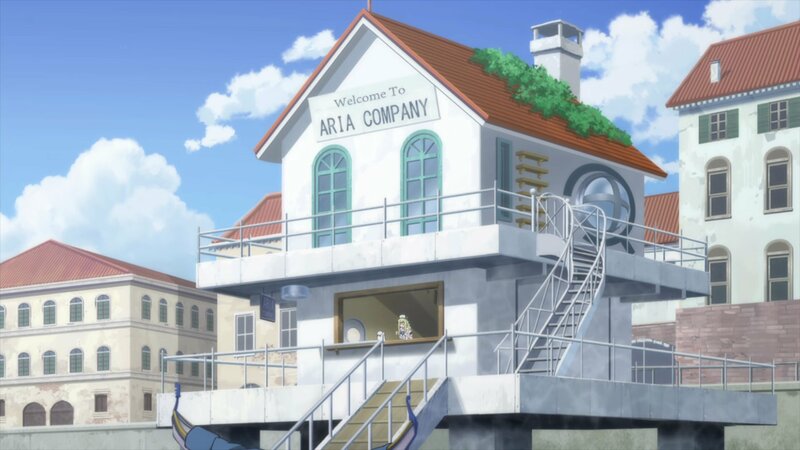 There were quite a few things related to the new trio of singles in Ai, Azusa and Anya (how I would love for the Aria series to continue focusing on them!) 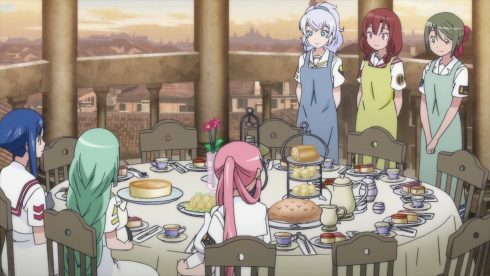 and their involvement in activities similar to what Akari, Aika and Alice used to do with their senpai’s as well – things like arranging for them all to spend time together with “Grandma” and such. Where does the combination of these two elements (Alicia herself and the state of senpai-kouhai relationships in general and particularly that we have been seeing among the characters through the seasons) contribute to this episode’s story? 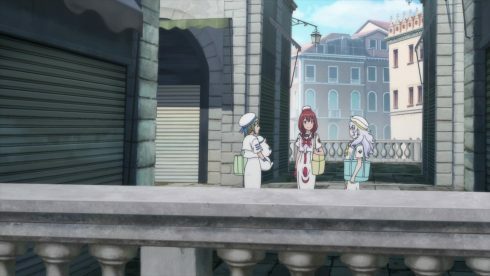 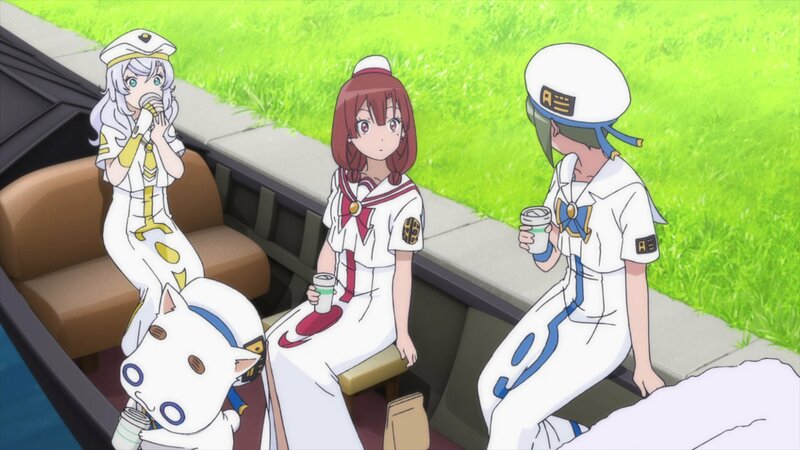 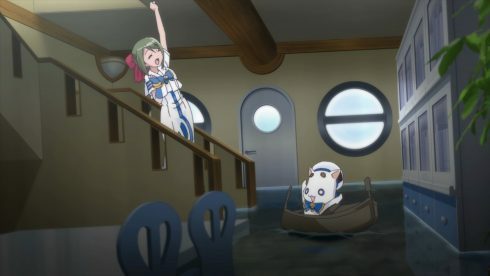 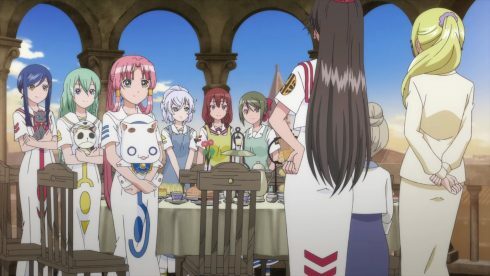 It dovetails into Alicia’s experience on the whole of being a mentor to Akari, being approached by the Gondola Association to retire and help to bring about some changes and then experience her mentorship with Akari, which she discovered was of benefit to her just as much as it benefited Akari. 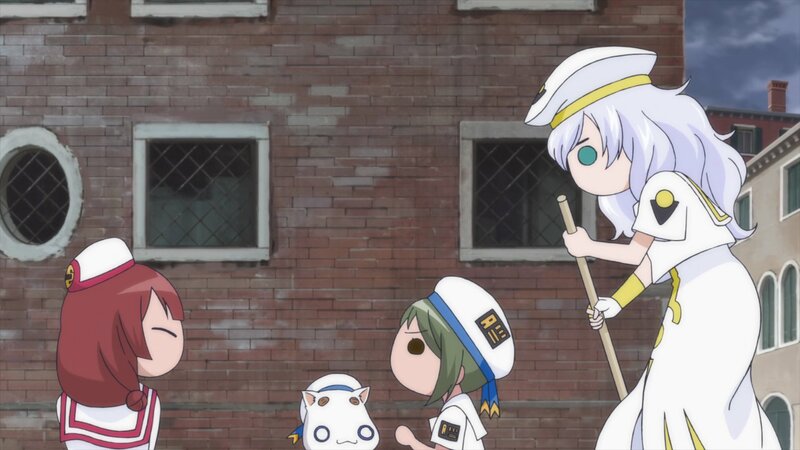 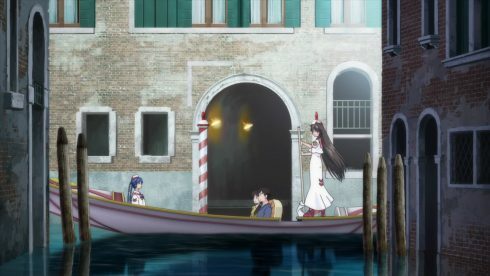 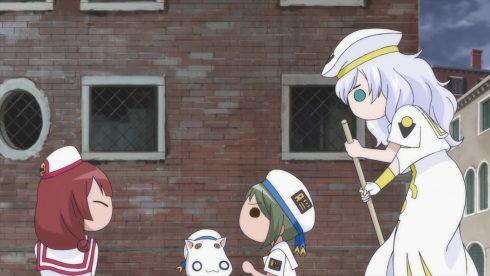 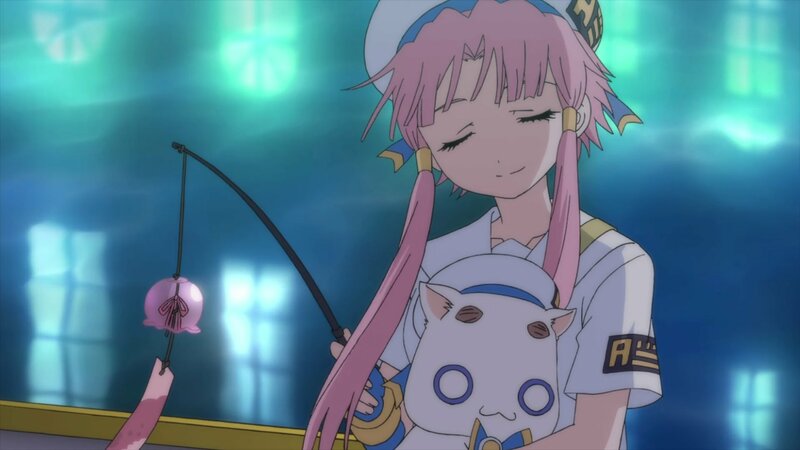 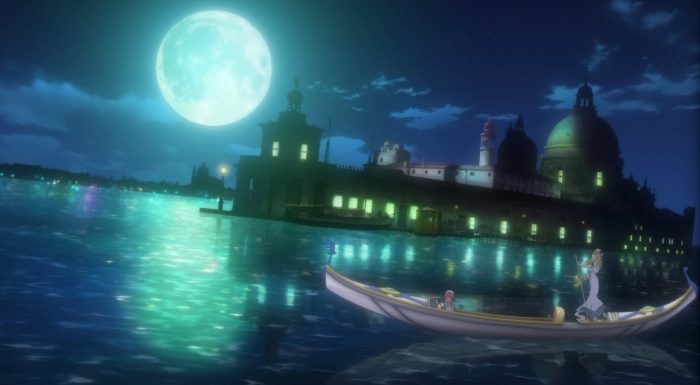 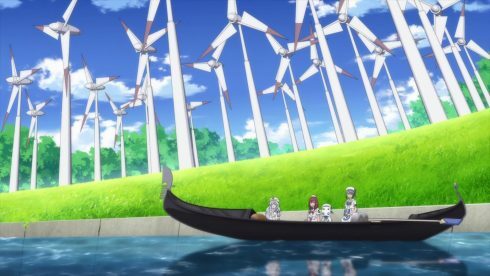 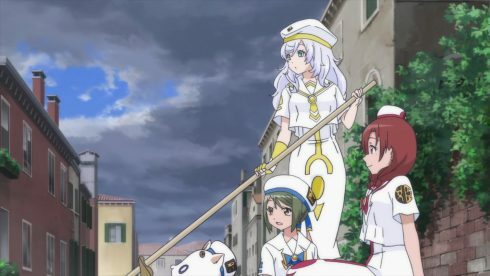 It was only when she was able to pass on the ownership of Aria Company to Akari that she was able to not only get married but also to join the Gondola Association itself. 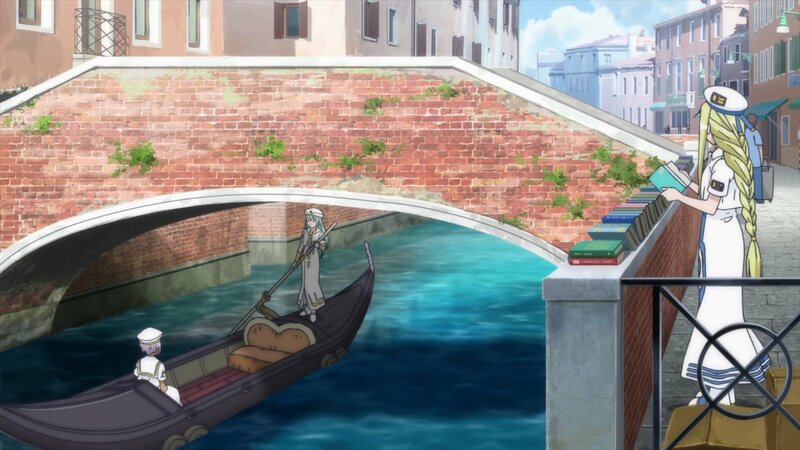 Alicia’s work at the Gondola Association, it turns out, is related with “changing tradition”, or at least “traditions” and practices that had grown up over time and impeded with the potential development of the Undines and the gondola touristing trade in general. One of the things she has been striving to change in particular was the system of promotion. 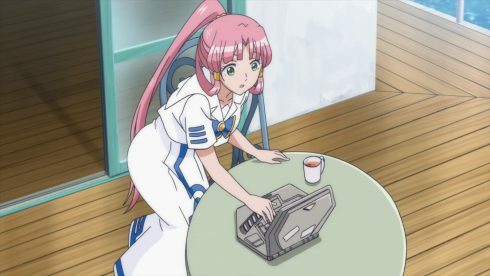 These and other difficulties (that exist in most any organization, actually, as they are simply human problems and patterns) were in Alicia’s mind the entire time she was mentoring Akari, but while in the process of doing so she found herself benefiting from her Kouhai in completely unexpected ways – so much so that she prolonged the process as much as she could as she came to love being with, teaching and learning from the amazing human being that Akari was. 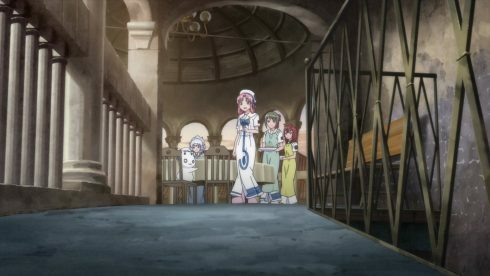 In fact, it proves to be Akari herself who was to serve as the catalyst to strengthen her taking the next step she knew she must take.